From an early age, we are conditioned to keep our periods a secret. While the boys in fifth grade spent recess playing basketball, I was taught about my menstrual cycle only after my parents signed their consent. Subconscious feelings of shame surrounded my biology; menstruating was a liability to navigate with discretion. The trivial approach to this topic is well characterized by how my teacher explained periods, showing us an unforgettable video featuring a pancake in the shape of a uterus. Blanketing our uteri with pancakes and euphemisms sends a message that we should conceal the nature of our bodies. Menstrual-censorship continued manifesting itself through unspoken social etiquette beyond elementary school. Gynecologist appointments are private and personal, reproductive rights and sexual health are limited to a need-to-know basis, and menstruation has become an excuse to invalidate emotions and opinions. Meanwhile, tampon packaging has become smaller and more decorative, to assure slipping to the bathroom during your period goes undetected. The embarrassment we’re expected to assume over this fundamental function insinuates that speaking up about our bodies is disgraceful — because they’re not worthy of speaking about at all. As women, we can feel more encouraged to be vocal in other spaces of our lives when we also normalize the conversation about periods. When more than half of the population experiences this normal, bodily function on a monthly basis, the extreme stigmatization seems unbelievable. Raychel Muenke, an advocate for women’s health and Executive Vice President of Kindara – a Colorado-based company providing support and resources for reproductive and fertility health, champions for the unconventional discussion of periods through scientific research and dialogue. “Women make up half the population and our thoughts, struggles, and triumphs need to be heard for the good of our community as a whole." Along with cultivating a healthy, supportive space for women, persistent communication empowers us to bring our voices to the forefront and break the period taboo. When we’re discredited for menstruating, yet expected to remain silent and passive in response, the stigmatic cycle continues. We need to keep permeating the system until those who menstruate are no longer marginalized by misconception. “All menstruators’ voices need a seat at the table,” Dana Marlowe, Founder of Support the Girls, affirms. Her charity brings awareness to the issues that result from avoiding conversation about menstruation. The disadvantage placed upon women by invalidating their need for comfort and access to essential care suggests that our voices are not valid, and struggles are not real. Breaking barriers to normalize the discussion and actuality of our periods can inspire us to recognize the value of our voices in other facets of our lives. Removing the senseless notion that we are lesser because we bleed from our vaginas starts by talking about it, shamelessly. 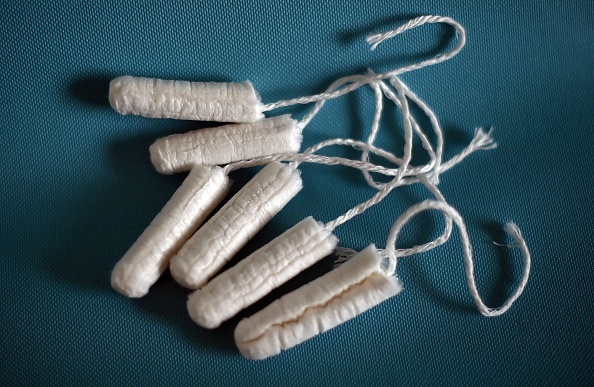 We are human and deserve to be treated and heard as such, whether it be confidently exiting a meeting with a tampon in hand, or speaking out against social injustice. When facing a society that often devalues women, finding alliance in one another as vessels for change is indispensable.